Home · Property Management · Latest News : What Do Apartment Renters Really Want in the U.S.? What Do Apartment Renters Really Want in the U.S.? According to the recently released 2017 National Multifamily Housing Council / Kingsley Renter Preferences Report, U.S. apartment renters now want more shorter-term leasing options combined with added online reviews to make more informed decisions. 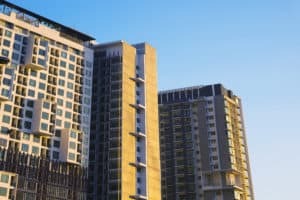 The NMHC report includes responses from more than 270,000 apartment renters across the U.S. to determine what apartment features and community amenities are most desirable, how renters are finding their apartments, and their top considerations for moving. Nearly half of respondents under the age of 25 (49 percent) are interested in the opportunity to generate additional income through short-term rentals, such as Airbnb, compared to 15 percent of renters age 65 and over. Further, 32 percent of renters age 65 and over report they would not rent in a community that offered short-term rentals. More than three-quarters of the respondents (79 percent) reported that online opinion sites influenced their current leasing decision, with many (72 percent) noting such sites stopped them from visiting a community. The report also found that renters aren’t just looking at online reviews – they’re looking at how property managers respond. More than eighty percent of respondents (82 percent) noted they expect to see a response to at least negative, if not all, online reviews. Air conditioning (94 percent interested)–92 percent of these respondents won’t lease without. High speed internet access (93 percent interested)–63 percent won’t lease without. Soundproof walls (91 percent interested)–53 percent won’t lease without. Washer / Dryer in unit (89 percent interested)–77 percent won’t lease without. Dishwasher (88 percent interested)–86 percent won’t lease without. Reliable cell reception (92 percent interested)–78 percent of these respondents won’t rent without. Secure resident parking (88 percent interested)–71 percent won’t rent without. Secure amenity access (84 percent interested)–49 percent won’t rent without. Swimming pool (84 percent interested)–60 percent won’t rent without. Fitness center (82 percent interested)–55 percent won’t rent without.